UVI is a France based company which develops sounds and software for professional audio production. 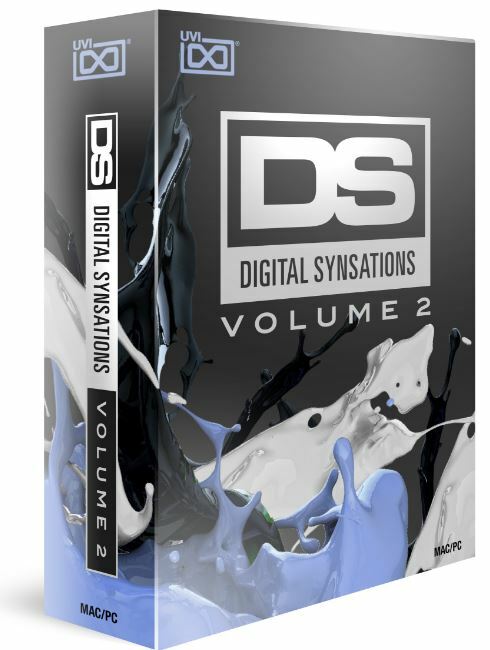 One of their latest releases is Digital Synsations Volume 2: a collection of 3 unique synths, inspired by synthesizers from the ’90s. The first volume brought 4 amazing synths inspired by high-acclaimed machines, such as Yamaha DX7, Korg M and Ensoniq VFX. Volume 2 brings 3 synths: DZmo, DK5S and DS-890. They all recreate 90’s synths, like Roland JD800, Kawai K5 and Ensoniq Fizmo. Each soft synth has a straightforward interface, lots of presets, easy midi mapping and it doesn’t require too much CPU. All synth controls are quite the same on every instrument. The difference is the layout and, of course, the synthesis type. 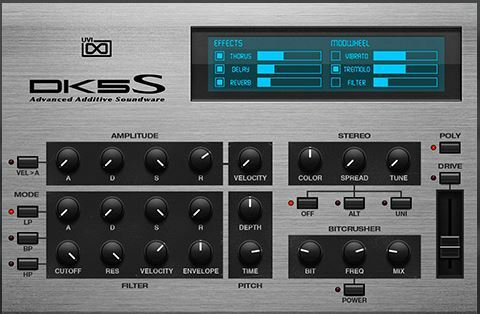 The first synth in the collection is the DK5S, which combines additive synthesis with PCM technology, resulting in a rich sound and awesome possibilities. The interface is very intuitive: amplitude has ADSR controls and a velocity knob. Filter section has also ADSR controls, as well as cutoff, resonance, velocity and envelope amount. There are 3 filter types (LP, BP and HP). Pitch section has controls for depth and time. There are also a Stereo section and Bitcrusher parameters available. The user can map the controls to any midi controller just by right-clicking a knob or button. The FX section is located on the virtual display, as well as the modwheel controls. It comes with a great set of presets, including bass, brass, FX, keys, leads, organs, pads, strings, plucks, and more. 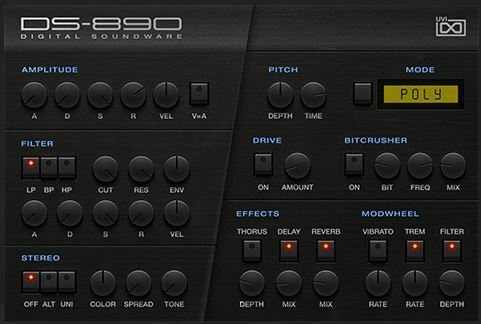 The next synth is the DS-890, which is a recreation of 90’s multimode filter synths and its interface is also pretty intuitive. The idea of this synth is to give the sensation of a patch with several layers, resulting in a rich and full sound. This type of synthesis can be heard on several albums from famous names, like Depeche Mode, Emerson Lake & Palmer, Prodigy and much more. The amplitude section has typical ADSR controls, along with a velocity knob and a velocity attack button. The filter section has 3 filter types, cutoff, resonance, envelope amount, as well as ADSR controls. There’s also a Stereo section, with controls for color, spread and tone. Pitch and Bitcrusher sections are in the right side, along with Effects and Modwheel controls. 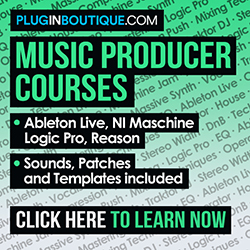 There are up to 150 presets, including strings, pads, sweeps, leads, keys, bass, and more. 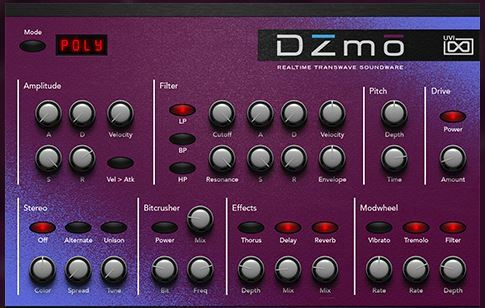 The third synth is DZmo, which uses transwave synthesis, as featured on Ensoniq Fizmo. It is great for sound design since it can create cool organic sounds. It is also a great synth, and it’s possible to really remember those Ensoniq patches from TS series. The amplitude section is at the top left, with ADSR and velocity controls. The filter is at the center, followed by the Pitch and Drive sections. Stereo and Bitcrusher sections are at the bottom, along with the Effects and Modwheel controls. The product runs in UVI Workstation (free) and Falcon (paid) instruments. It is available as digital download (18.25GB), includes up to 500 presets, and it’s compatible with Mac OS 10.7 or higher and Windows 7 or higher. It supports AU, AAX, VST formats, and also works as a standalone synth.